THIS IS A SPECIAL TRAVEL ANNOUNCEMENT FOR OUR READERS POSTED ON FEBRUARY 5, 2016. ALL INFORMATION IS CURRENT AS OF THE DATE OF PUBLICATION. PLEASE CONTACT WALT DISNEY WORLD OR YOUR TRAVEL AGENT FOR FURTHER DETAILS OR QUESTIONS YOU MAY HAVE REGARDING YOUR VACATION PACKAGE. As everyone knows, the Zika virus is currently dominating headlines and is a developing story. While there are no known cases of anyone contracting Zika virus in the United States as of the date of publication (reports indicate that all known domestic cases are for persons who contracted the virus while traveling abroad), federal, state, and local governments in the United States are taking steps to safeguard people against the potential spread of this virus. This is especially true in the Gulf Coast states, which includes Florida, home to Walt Disney World. 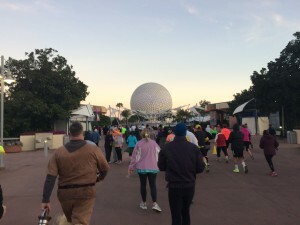 As Walt Disney World will be hosting 2 major race weekends over the next few months (the Princess Half Marathon Weekend & the Inaugural Star Wars Dark Side Half Marathon Weekend), we wanted to inform our readers of some steps that Disney is taking to respect the travel concerns of their guests. We at Casual Runner are not experts on the subject, and we do not want to concern anyone, we are simply following and sharing the information provided to us by the Government (particularly the Centers for Disease Control) and travel companies with respect to making our own travel decisions. We urge everyone to not rush to judgement, but rather to make informed decisions with regards to their travel plans that make them most comfortable. I spoke with a Walt Disney World representative earlier this morning who informed me that Walt Disney World Guest Services will work with guests to make changes to existing reservations and packages, including waiving deposits, charges, and fees that may otherwise be applicable due to cancellation windows. This means that, if you have an on-property Walt Disney World travel package planned for an upcoming race weekend, you may be able to make changes that Disney may otherwise not allow under their terms and conditions. 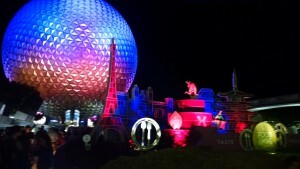 You simply need to contact Walt Disney World or your travel agent. As to the runDisney component of your runcation, I also spoke with a representative from runDisney this morning who informed me that they are still reviewing the situation and have not made any policy changes or decisions at this time, which, is completely understandable. Needless to say, Disney and its respective departments should be commended for taking these steps. While there are currently no restrictions or warnings imposed on travel to Florida or other Gulf Coast states, these steps show a real sense of concern on the part of Disney for the peace of mind of their guests. Is there any question as to why we love Disney so much? Essentially, Disney is saying to their guests, get informed on the situation and make the decision that is right for you and your family. 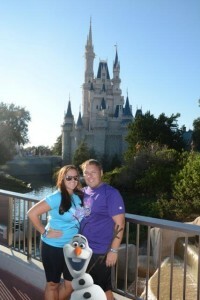 And, whenever you are ready to come and enjoy a magical vacation, we’ll be here waiting to make your dreams come true. Additionally, we already heard from a reader who spoke with her airline. She was informed that the airline is willing to make accommodations for pregnant passengers booked for travel to certain regions. Thus, if you feel that you want to make any changes to your air itineraries due to travel concerns, we encourage you to speak directly with your airline or travel agent. So, get informed and make the decision that is right for you and your family. For those of you who will be participating in the upcoming race weekends and those who will be enjoying magical vacations with their families in Florida and elsewhere, we wish you all the best for a fun and memorable vacation experience! Bon voyage!